A unique differentiation in your data between plated-through holes (PTH) and non plated- through holes (npth) is of fundamental importance! This means that you must (additional to your Gerber data) output a separate drilling program for pth- and npth drill holes, e.g. as Excellon or Sieb&Meyer data. For multilayers, this also applies for blind and buried vias. ODB++ data contain the necessary information automatically! Component holes need the accurate hole diamater, vias may have a smaller final diameter due to electroplating (plated through) and PCB surface. Basically, we assume holes < 0.5mm are vias. Please always specify the final hole diameter within the PCB data. Hole diameter ≥ 0.5mm will be final diameters. Component holes < 0.5mm need to be specified in the order! * Final diameter after surface finishing! ** Not possible with HAL surface! The aspect ratio indicates the relationship between the technically producible final diameter depending on the material thickness. Multi-CB can produce aspect ratios up to a maximum of 1:12, for blind vias 1:1,2. Tooling or assembly holes (normally with diam. 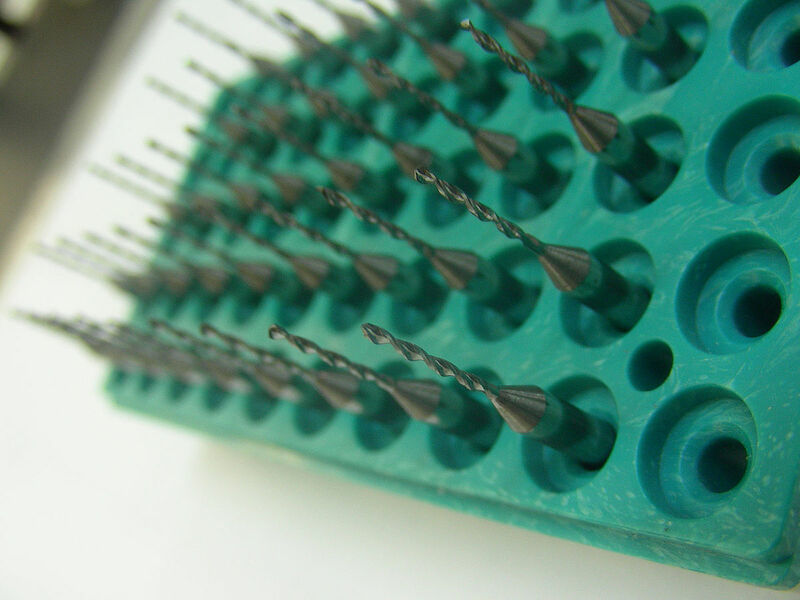 = 3.05mm) should be placed in the same drilling program as pth drill holes, by the customer. Thus, there are no additional tolerances for re-placement into the drill- / milling machine. For manufacturing reasons, component holes are drilled larger than the final diameter defined by you (final diameter is only achieved after plating). You should design the annular rings as large as possible (annular ring ≥ 125µm). It is normally advisable to select the hole diameter in the upper tolerance region of the corresponding part. Please specify component holes ≤ 0.5mm with your order! Component holes ≤ 0.6mm must be manufactured with a chemical surface, otherwise these holes will be filled with tin during the HAL process!